I might be a bit of a makeup hoarder but blush has always one of those things I can pick one and be perfectly happy for months on end. And when it comes to options, the drugstore has some hidden gems - like my recent find from Essence which has quickly gained top shelf residency all for less than a cup of coffee. Ingredients: MICA, TALC, ALUMINUM STARCH OCTENYLSUCCINATE, ISOCETYL STEAROYL STEARATE, OCTYLDODECYL STEARATE, MAGNESIUM STEARATE, TOCOPHEROL, SILICA, ETHYLHEXYLGLYCERIN, PEG-8, ASCORBYL PALMITATE, ASCORBIC ACID, CITRIC ACID, PHENOXYETHANOL, CI 15850 (RED 6 LAKE), CI 15850 (RED 7 LAKE), CI 19140 (YELLOW 5 LAKE), CI 77491 (IRON OXIDES), CI 77499 (IRON OXIDES), CI 77891 (TITANIUM DIOXIDE). 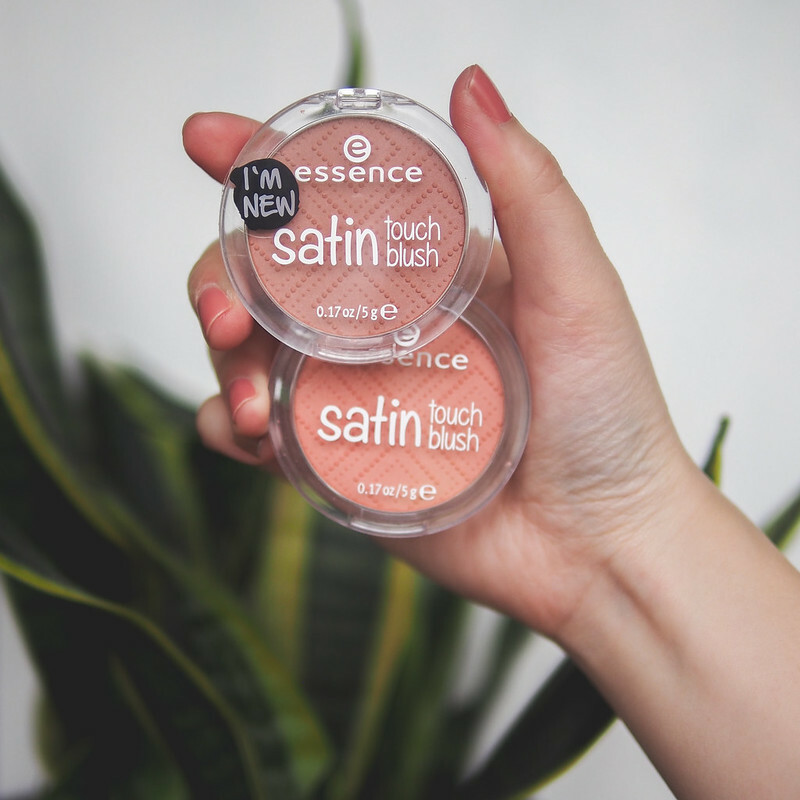 Housed in an easy to see plastic flip lid pan format, the Essence Satin Touch Blush has slightly varying colour options depending on your country as I've found 3 shades listed on the Essence international website but only 2 shades online and in stores here in Canada. The names of the colours may also vary but look for the quilted design on the powder. All shades are quite wearable and appropriate for pale to medium deep skin tones. To the eye there's micro shimmer flecks in the product but on the cheeks it truly just comes off as a sheen. 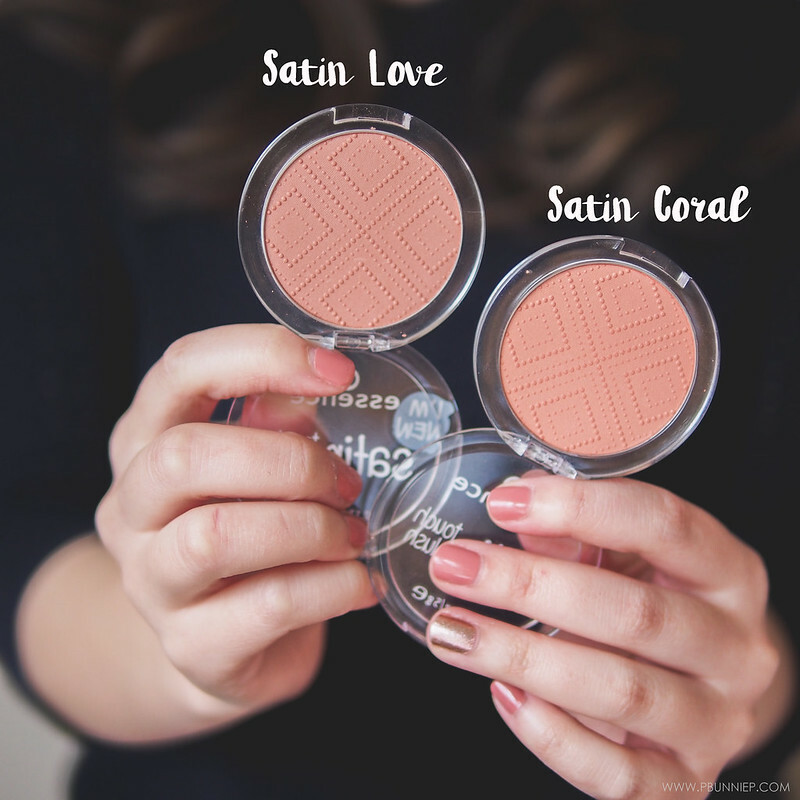 Personally I find Satin Coral to be more flattering on my complexion with both heavy and light makeup while Satin Love is a little too deep and needs to be paired with a more done up face. 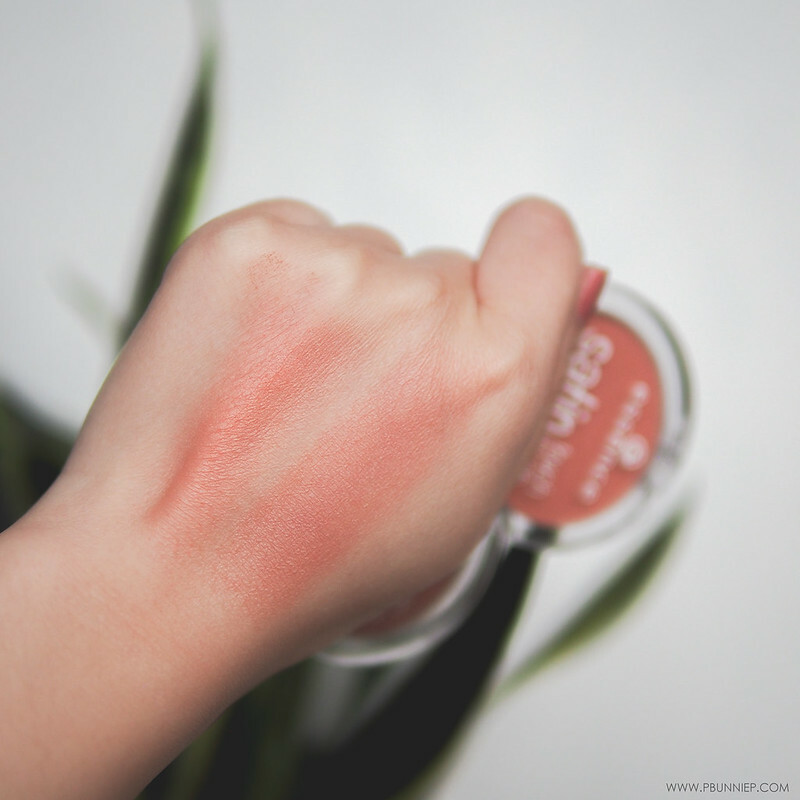 To the touch, this Essence blush comes off quite powdery but packs a strong punch in pigment even with a light swipe. When used with a brush, there very little powder kick and application should be smooth and flawless. The colours are true to pan and I do love how it doesn’t look heavy on the skin and is instead youthful with a slight satin sheen as the name suggests. 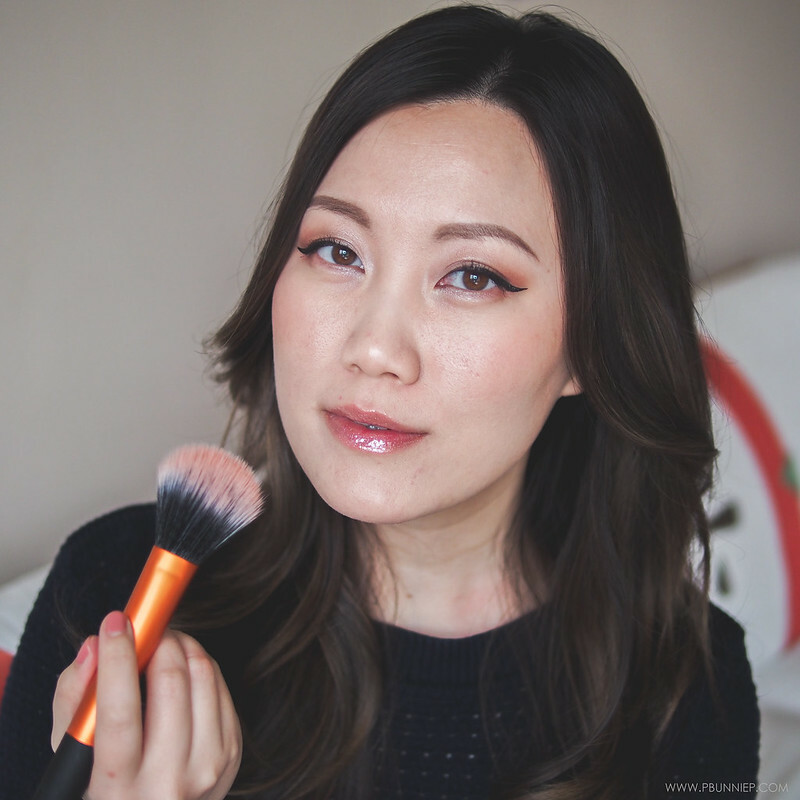 With this type of pigmentation, I recommend a duo fiber blush brush and a very light hand to build up the colour to suit your makeup for the day. 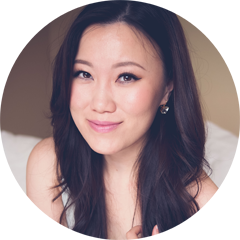 Despite not marketed as a long wearing product, I was excited to find out this is an impressively long wearing product for my combination skin and every time I had a chance to check on my makeup expecting the blush to have faded, it was always still there. I would put this at around the 4-5hr mark easily and even a few more hours if you work in a mild temperature environment. Granted I've worn this in the crazy snow season this winter in Vancouver and it's lasted me the whole work day until I was ready to take it off, all with very minimal fading. It seems to work well with both liquid and powder foundations with little difference. 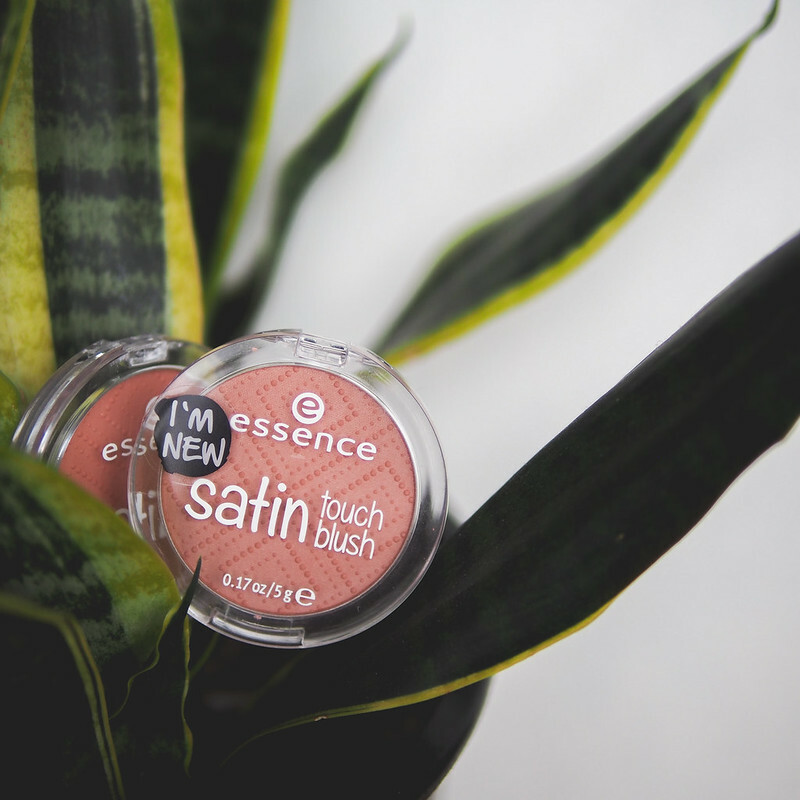 The Satin Touch Blush by Essence is a complexion flattering, well pigmented blush with a youthful sheen that will be well loved for the casual makeup wearer who needs an everyday staple that can be put on in 5 seconds. I love that while the brand is often marked to a very young demographic, the colours here are actually quite sophisticated and easy to work with. 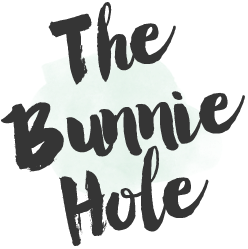 It's a hidden gem that takes a little hunt to find here in Canada but will surely be worth your time. Go and get it!